People do not talk like language-learning books are written. They pause, say "um" and "er," and even forget to finish their sentences! This can be confusing for new speakers of English, but Improve Your English: English in the Workplace helps you understand what your coworkers are saying and gives you confidence to talk with them naturally and easily. 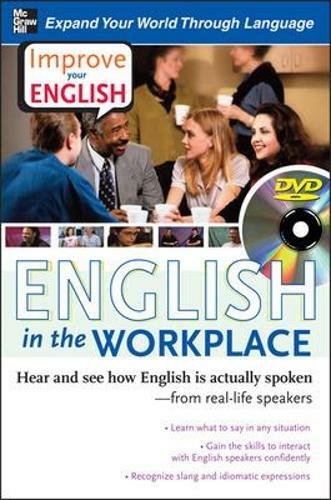 The DVD shows speakers of English talking about their careers, job searches, average days, and other work-related topics. These chats are unscripted and unrehearsed, so you'll hear how people really talk around the office or worksite.